State Fish and Wildlife wardens say they bust trophy mount sellers to send a message: Stop creating an incentive for poaching. Meanwhile, the Peninsula Humane Society partners with eBay to cut sales of exotic animal parts. A quick search of Craigslist reveals dozens of postings of animal parts for sale. Buyers can find a menagerie of trophies ranging from wild boar to elk and mule deer. California Fish and Wildlife wardens say it’s illegal to sell any part of an animal that’s considered big game in California because it creates an incentive for poachers to kill animals for money. That puts a price tag on California wildlife. “The sale of illegal species or native wildlife is second only to the drug trade in the U.S. so it is extremely profitable," said a Department of Fish and Wildlife warden who asked not to be identified because he works undercover. Wardens say creating a market for California wildlife can lead to the endangerment and even extinction of the animals that roam our hills and forests. Another seller claimed he didn’t know and that he just wanted to sell the deer mount for his dad. To see how Fish and Game is trying to enforce the law, the Investigative Unit followed a team of wardens to a bust in Santa Clara county. 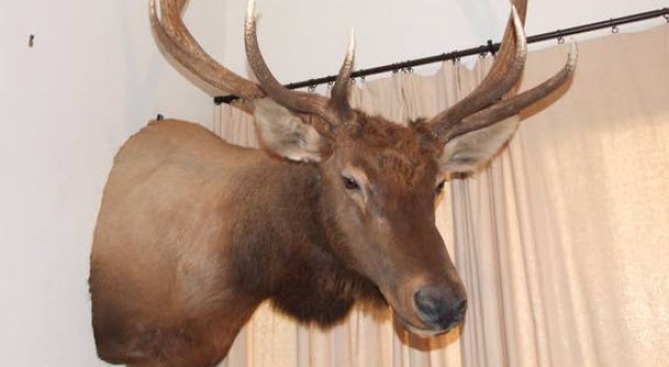 Undercover agents said they contacted a man who had listed 20 different mounts for sale, including the illegal sale of a mule deer and several species of elk found in California. They offered to buy a mule deer mount listed for $600, an amount the seller refused to lower. “We tried to negotiate price down as any Craigslist buyer would. The suspect would not budge on his price whatsoever which is a good indicator he’s trying to make serious profit off animals that were killed under sport license,” said the undercover warden. After exchanging money for the mule deer mount, the seller was issued a citation for a misdemeanor. He told wardens he wasn’t aware of the law, something they found tough to believe because they say the seller had hunting and fishing licenses. Of course the black market sale of animal products goes beyond California. Online marketplaces such as eBay have made it even easier for international sales of exotic animal parts such as ivory, rare animal skulls, horns, and other items banned for sale under state, federal and international law because they threaten endangered species. Humane society president Ken White says the agency holds workshops to train volunteers, and it’s a simple way to make a difference. The Peninsula Humane Society has a training session coming up. Where: Lantos Center, 1450 Rollins Road in Burlingame. Click here for a link to the volunteer position description. Connect with Investigative Reporter Vicky Nguyen on Facebook, or message her on Twitter.